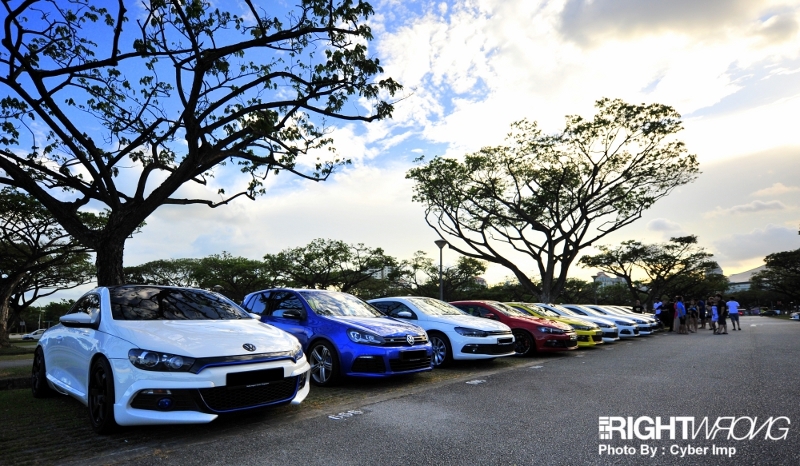 The Right Wrong crew were invited to cover a VW Scirocco meet up held at Kallang Leisure Park. 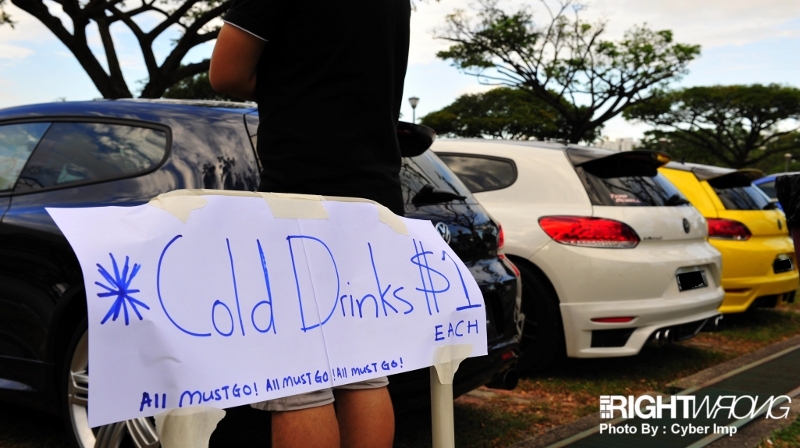 The gathering venue was initially planned at Big Splash overlooking the beach however due to parking constraints the group decided to amend that plan. 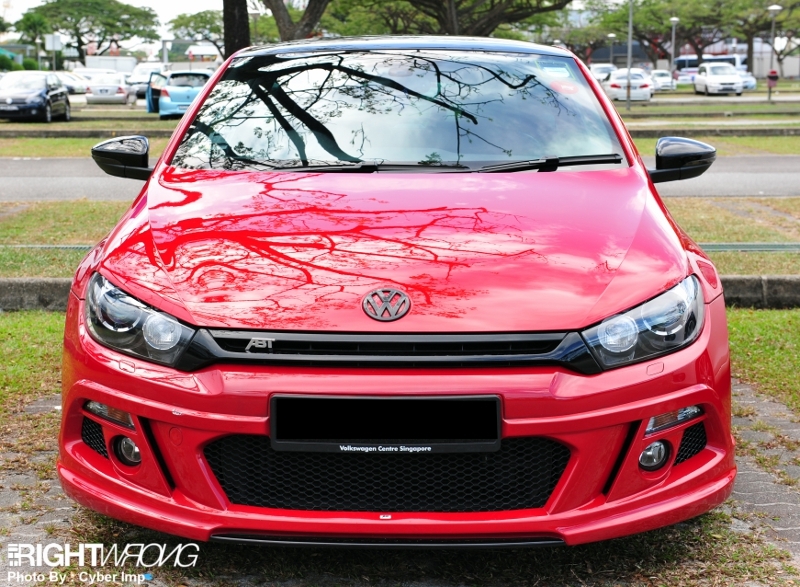 The showcase of cars did not limit to Sciroccos or Rocs, as some of them coined that name only, there were a few Golfs, all from the Volkswagen family. 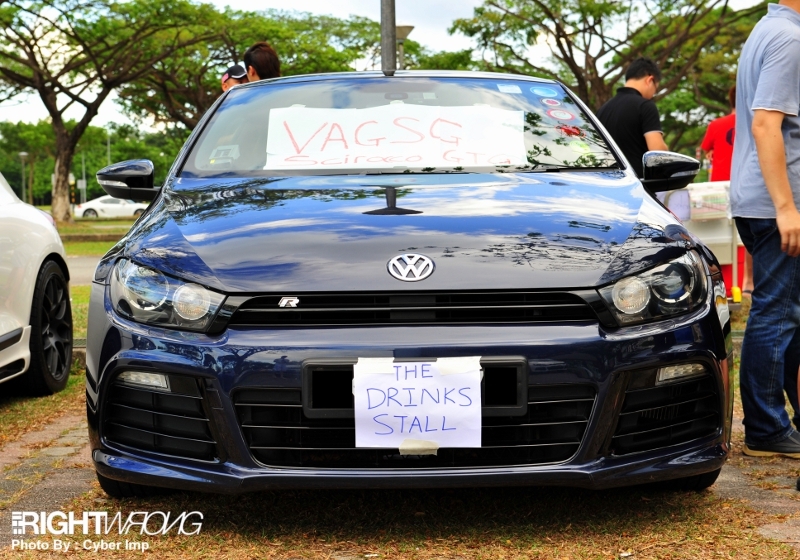 In such meet ups, there would be a congregation of a show and tell session, each displaying what they have did to improve that vee dub of theirs since leaving the factory. 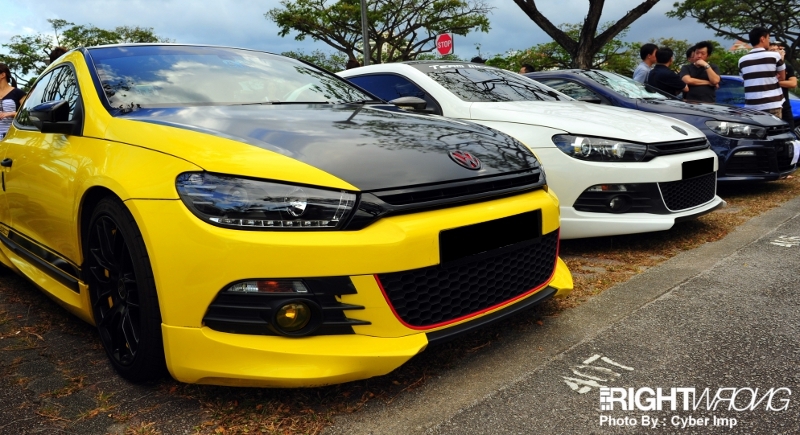 It is a good learning experience for some who just acquired their rides, and by observing, they could easily save unnecessary expenses through hard marketing of accessories garages here. 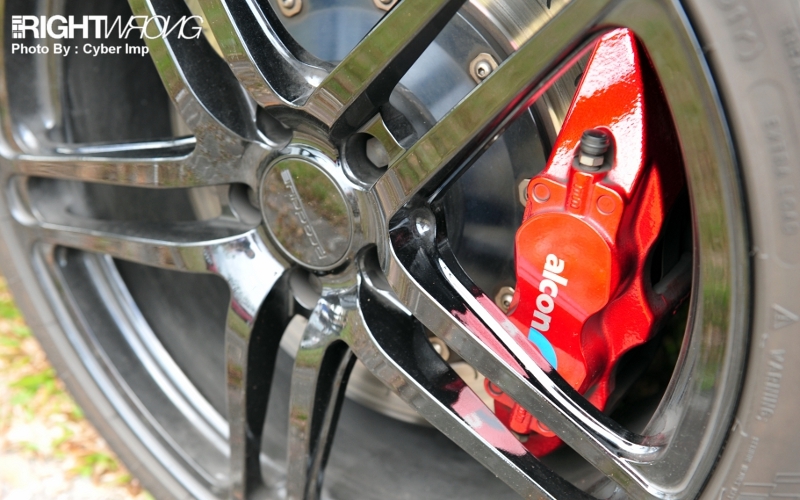 Most of them upgraded their brake sets, some chose the renowned AP Racing, and others had Alcon as their popular pick. 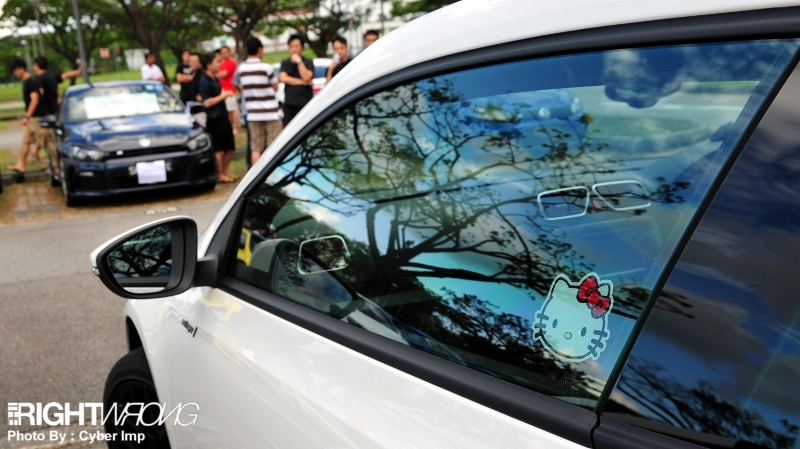 Through such meet ups, members get to test drive their friends’ cars as they could have a first hand feel on the difference of having some performance peripherals or hardware installed. 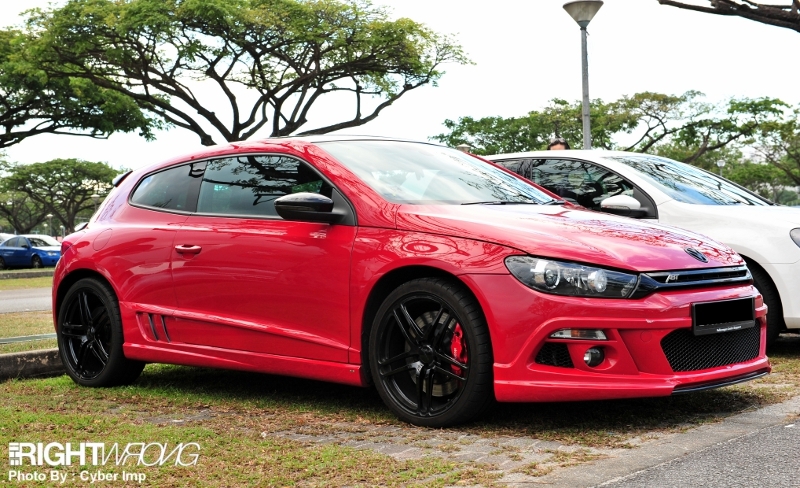 One of the handsome cars that showed up was this Scirocco donning ABT Sportline’s kit. 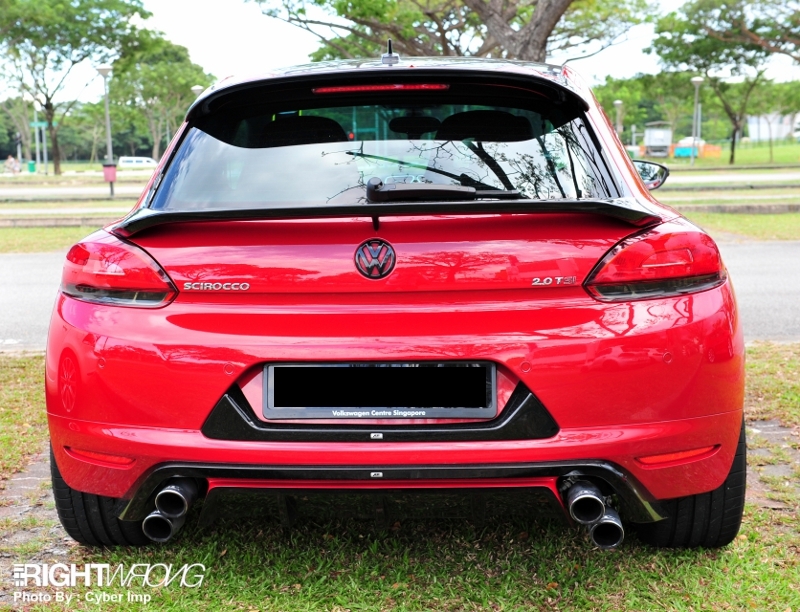 With such a menacing front end accompanied with vents on the side, yet an additional wing with quad exhaust tips to top it all off. 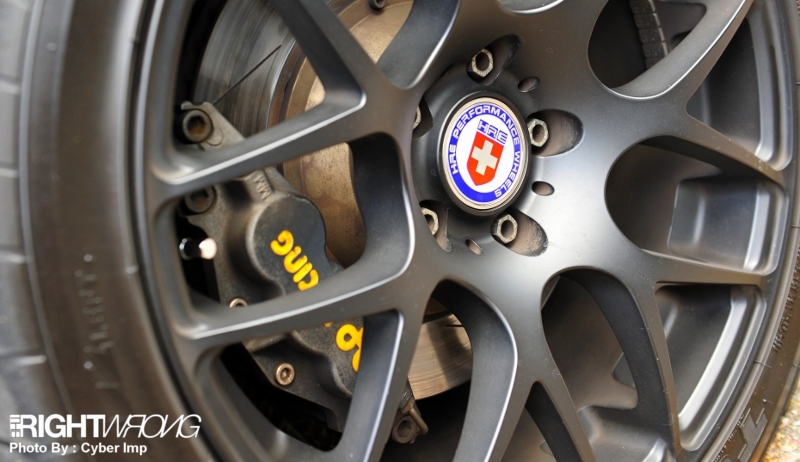 Purists may cry foul, but it’s quite a balanced appearance. 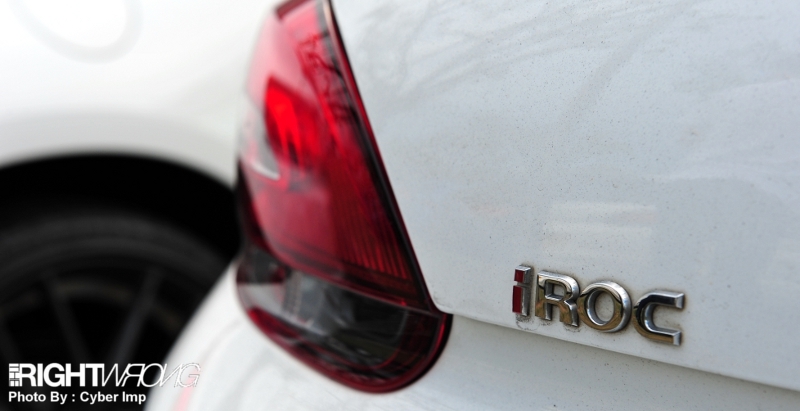 Now that’s a back you don’t wanna poke your car’s nose to. The meet up was sure filled with fun activities, while in such occasions there ought to be people who come and spoil the mood. Not ours but it is always a spectacle to behold. This is a parking warden, and in land scarce Singapore, parking fees extend through the weekend 24/7, and these vultures hover around and would give you a ticket the minute your displayed parking coupon expires. Personally I have donated close to USD$80 to them since the start of the year. Let bygones be bygones, they are merely doing their job but they offer little leniency. This did not dampen our spirits and the meet continued on without any hiccups. 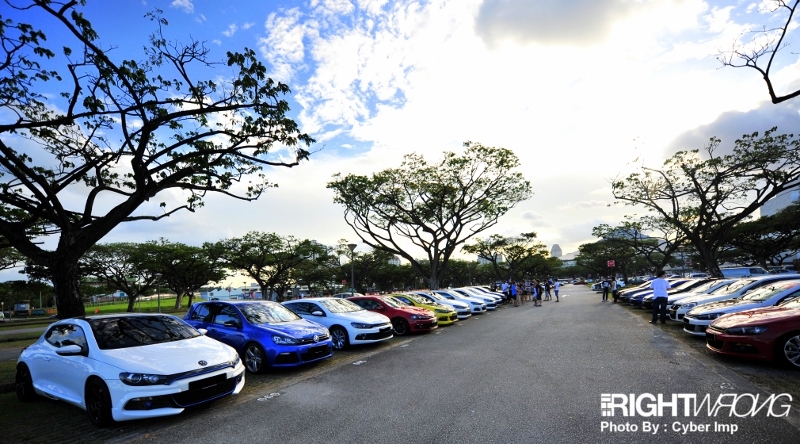 Being a popular choice of car, differentiation comes only in colors, shapes and POWER! As innocent it may look, an understatement to other girls that this guy’s taken. 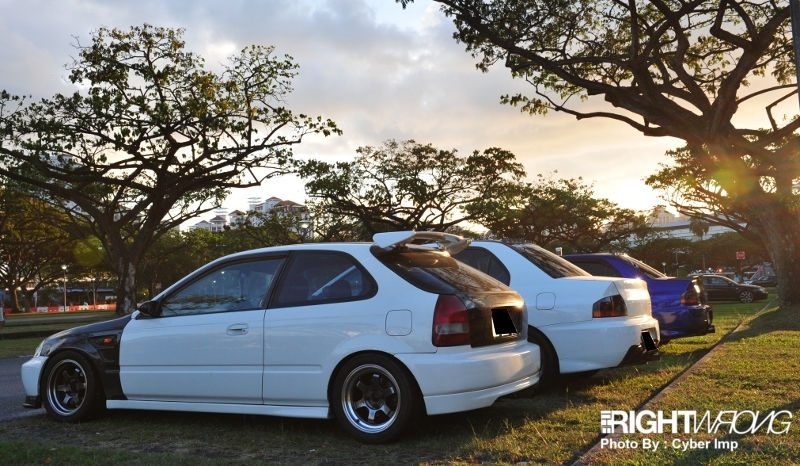 The Right Wrong crew is still on the lookout for new rides to showcase, readers both from Singapore and overseas, if you have something you would like to be featured, feel free to drop us an email! Do stay tuned to our Facebook page for the latest updates HERE.